�Dr. Rongbiao Tang was born in Zhangzhou (China) in 1981. He graduated the Medical School, Shanghai Jiao Tong University (SJTU), China. He has been working as a radiologist in Ruijin hospital, Department of Radiology, Shanghai, China. 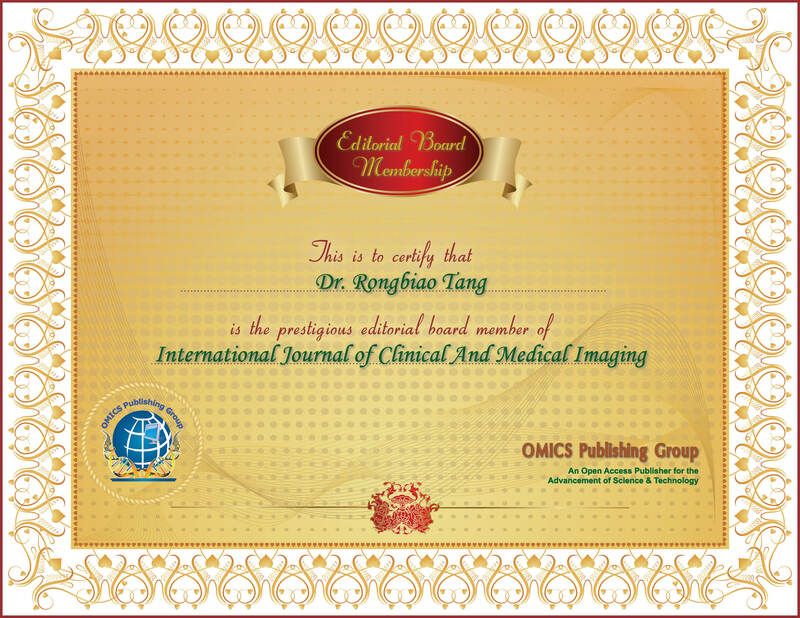 Now he is the committee member of Molecular Imaging Unit of Shanghai Irradiation Association. He is a reviewer for several journals like Scientific reports, European radiology, BioMedical engineering onLine, Plos one, Journal of synchrotron radiation. He is an editorial board member for several journals like Journal of imaging and interventional radiology, International journal of digestive diseases, Medical imaging and interventional radiology. �Synchrotron Radiation, Phase contrast imaging, Molecular imaging, Diagnostic radiology, Gastrointestinal radiography, Neuroradiology, X-ray, CT and MRI.